But it’s all paused now. The weather has been mild so far and the birds haven’t been driven south by frozen water yet. It’s the November Conundrum: cold brings the birds to us, but I really wasn’t ready for this today. This didn’t last. 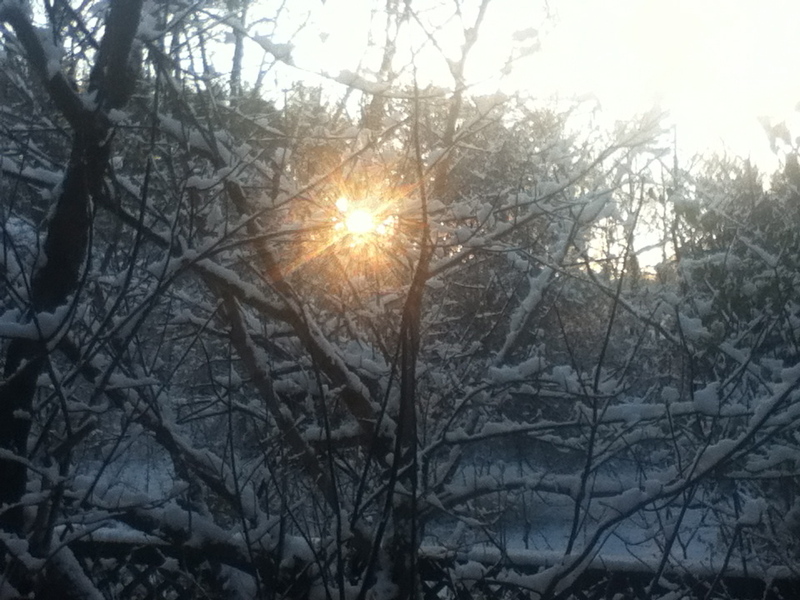 It melted by late afternoon. The next one will, though, and the snows to follow. 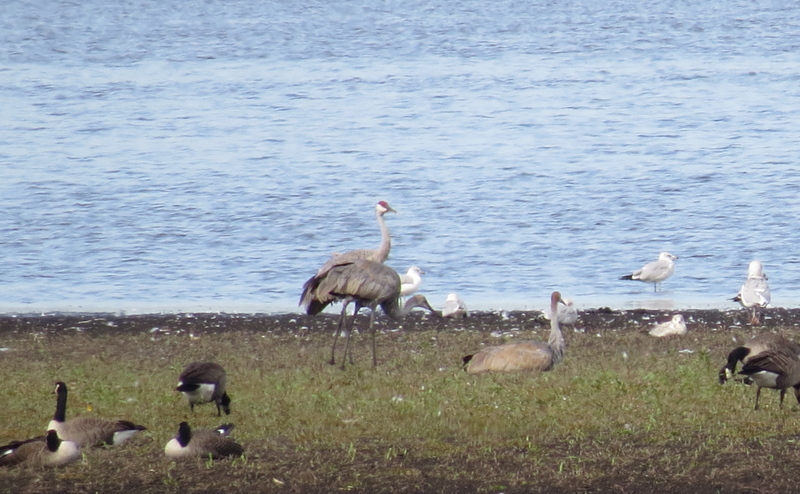 For me the highlight of any trip to Montezuma NWR is a Sandhill Crane sighting. This wasn’t the most we’ve seen on a visit, but it certainly beat the weather last time — temps barely above freezing, howling wind, and occasional blinding horizontal snow squalls. On this day, though, conditions were ideal, at least meteorologically. Road conditions, though… not so much. The birds were hanging out at Knox-Marsellus Marsh so we turned onto the dirt Towpath Road. The last time I was there it wasn’t bad so we headed down optimistically. Well, that didn’t last long. A few potholes, then more, and soon they turned into muddy pits across the entire road. I got tired of scraping the sides of the car so we decided it was wiser to park and walk the last half mile in. I love the one lying down like a long-necked hassock. I get so excited seeing 14 Sandhills –my heart would fly right out of my chest if I ever saw a sight like this! It looks like our winter visitors, the pair of Sandhill Cranes, have finally moved on. They haven’t been seen in the usual spots for a few weeks, while reports from Vermont are cropping up now. They were a wonderful surprise while they lasted!